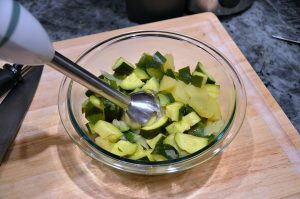 This apple and zucchini baby food recipe is a great combination of savory and sweet for your stage one eater. It offers your baby the best of both a fruit and a veggie. 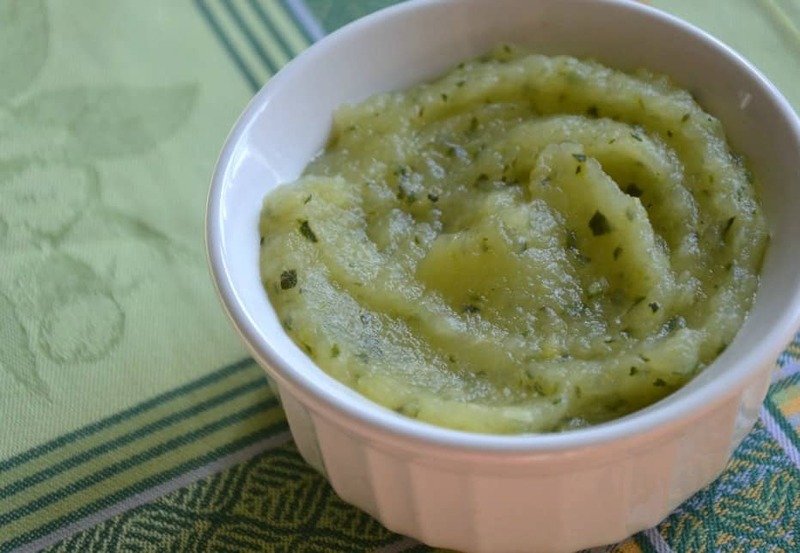 This puree is easy to prepare and offers a delicious, crisp taste your baby is sure to love. Plus, it can be served warm or cool. 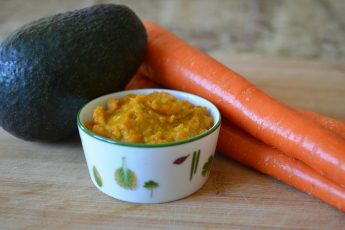 This puree provides your baby with a good source of vitamin C, vitamin B6, manganese, fiber, riboflavin, folate, potassium and vitamin K.
Suitable for babies 4 months and up. Always make sure the consistency of your baby’s food is one he can handle and check the temperature bef.e serving.. Before combining foods make sure he has tried each one individually first. Pour water into a pot until it is about 1" deep and bring to a boil over high heat. Place the apples and zucchini into your Sage Baby Eco-Steamer and place the basket into the pot. Cover and steam for 5-7 minutes, until apples are easily pierced with a fork. 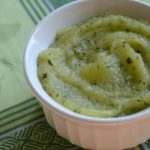 Blend until smooth using your Sage Baby Puree & Blend. You will not need additional liquid for thinning. 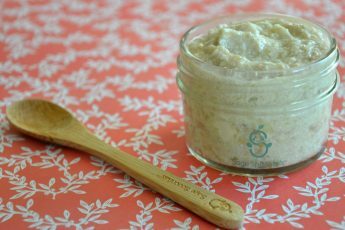 Add a little baby rice, baby oatmeal or baby barley cereal to thicken the puree if desired. 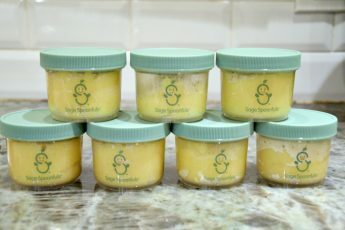 When stored in Sage Spoonfuls jars or Sage Squeezies, this puree will stay fresh for up to 3 days in the refrigerator and up to 3 months in the freezer.